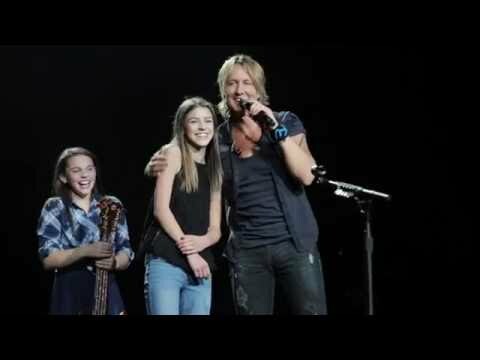 This Girl Gets On Stage And Keith Urban Hands Her A Guitar, No One Saw This Coming! Country music singer Keith Urban invites two fans on stage during his concert at Rogers Place, Edmonton, Canada. The lucky fans were Hailey Benedict and her younger sister Makenna Benedict; Hailey was asked a series of questions by Keith and then put in the spotlight. Hailey started playing the guitar, and within seconds the crowd started cheering. The audience went crazy for Hailey and could not get enough of her. Keith loved her original song and praised her for her amazing playing/singing/writing ability. Hailey wrote this on her Facebook “This is the very best day of my life! Thank you Keith Urban! You made my dreams come true last night and I will never, ever forget it!”.